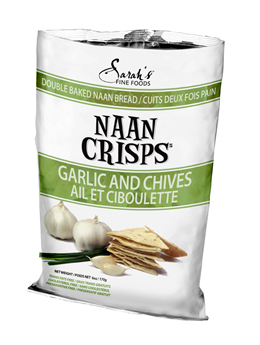 Baked not fried - Sarah`s Fine Foods TM Naan Crisps are the perfect alternative for snacks - with only half the calories of a fried potato chip. Naan Crisps not only taste great, they're crispy, crunchy and light texture are perfect on their own or with any dip. Available in four amazing flavors, it will be hard to pick just one.